A new Clash of Clans update (v 3.25) has just hit the app store, bringing a number of new features and improvements to the hugely popular (and highest grossing) iPhone game of 2013. The leaderboard system in Clash of Clans has been reworked and updated to show who is rising and falling within your clan, as well as who’s new. There are also now leaderboards to show the best players in your country, not just the top players on a global scale. The level cap on units has been increased in the Clash of Clans update, with new level 6 upgrades now available via the laboratory. And it’s not just the damage and hitpoints that have received a buff, every unit has a new look – Barbarians get horned helmets, Archers get Queen-style tiaras, Giants are hairier and the Balloons now come kitted out with spikes. Hero units now recover their health faster than before and their guarding radius has been increased. Defensive structures have also received a boost in the latest Clash of Clans update with new Air Bomb and Seeking Air Mine balloon traps to halt airborne attackers as well as new upgrades for Air Defense turrets (level 7) and Archer Towers (now level 11). Other balance improvements have been made in the Clash of Clans update, including an increase in damage to P.E.K.K.A units from Hidden Tesla towers, a reduction in spell creation times, an increase in level 9 and 10 walls and a number of new achievements. If you’re looking for a strategy guide, with tips on defense and offensive tactics check out our comprehensive Clash of Clans strategy guide here. 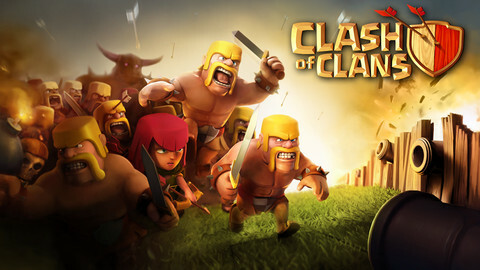 Have you downloaded the new Clash of Clans update? What changes would you like to see in the next update?